We enjoy the reputation of the hotel which guests love to come back to. And we owe this to the accuracy with which we approach every detail. Krakow inspires, like our interiors. Senacki Hotel is an offer refined in every detail in terms of convenience and destination. 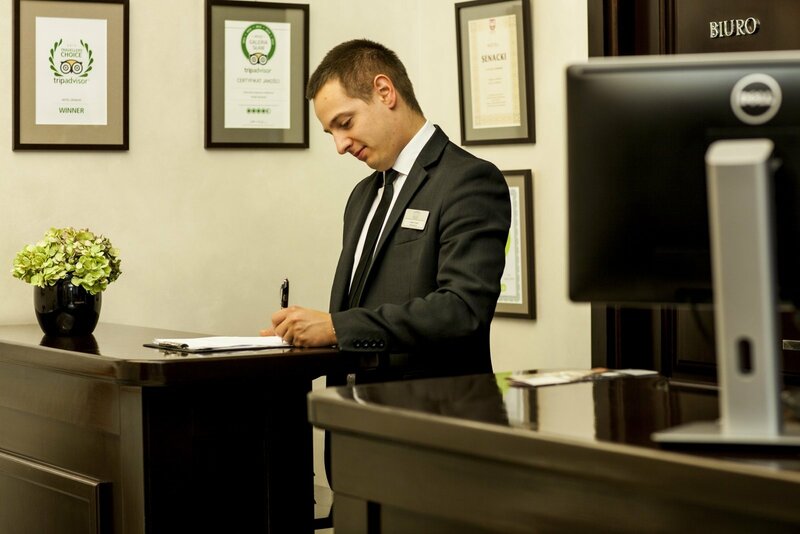 Our hotel has also very dedicated staff, who watches over your comfort for 24 h.
We will provide you with information about the monuments of Krakow which cannot be missed. We will help you find the right means of transport so that Krakow became more accessible. We will handle the sale of tickets for tourist trips or the organisation of transfers. We will book a guide or a cab. We will buy a ticket for a theatre, cinema, concert hall, opera or game. Visit us. We are not afraid to meet even seemingly impossible requests.